Did you get the John Cooper Works package on your MINI? 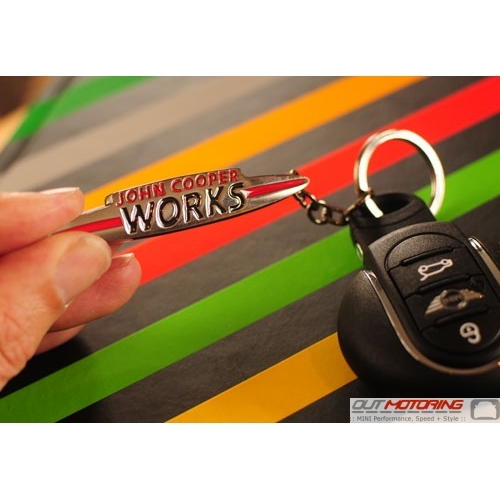 If so, you should probably pick up this official JCW Logo key chain so nobody thinks you're a fake. Think of it as your good luck charm. Available in Chrome and Black Chrome which has a soft black Chrome finish.